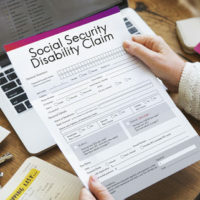 Generally, people know that they are eligible for Social Security Disability Insurance (SSDI) in certain circumstances. However, not many people are certain about how they should start this process or what it entails exactly. Filing the claim and getting approval of these benefits is a tenuous and complicated process. Having already experienced a traumatic disability and later trying to navigate receiving SSDI benefits is daunting and exhausting. Many claims are denied and there is no guarantee your claim will be approved initially. Obtaining the help of a Maryland Social Security disability lawyer is essential to help you receive your lawful benefits that you worked so hard to obtain. Under What Circumstances Can I Seek Social Security Disability Insurance? You paid Social Security taxes. You suffer from a complete disability. Your disability leaves you unable to work. Your disability is expected to last for at least a year or result in death. What Type of Information Must I Provide? A description of your impairment(s). The nature and severity of your impairment(s). The length of time you have experienced the impairment(s). The documentation you provide will include a description of whether you can still perform work-related physical and mental activities, a list of all your treatment providers, and your medical records. This detailed application must be complete and accurate. Obtaining the information can be a long and frustrating process. The assistance of an attorney will help negate the stress of filing for SSDI. Hiring a lawyer will also guarantee that upon filing, your application is thorough and final, meets all the necessary requirements to file, and includes all the required supporting documentation. Even after completing this complicated application, there is still a chance that your SSDI will be denied and will require you to make an appeal. A lawyer can handle all levels of the appeal process including seeking reconsideration from the SSA and advocating for you at an appeal hearing before an administrative law judge. The detailed and time consuming process of seeking SSDI can be overwhelming. Contact a Glen Burnie Social Security disability attorney for a free consultation. The attorney will handle this tedious but necessary task so you and your family can focus on what’s important, your health and well-being of your family. The loss of income resulting from a complete disability is just one more thing on your plate. Let the Law Offices of Steinhardt, Siskind and Lieberman, LLC take that burden from you. There are no attorney fees or legal expenses unless you win your case. Our dedicated lawyers also work out of satellite offices in Owings Mills, Ellicott City, and Annapolis.